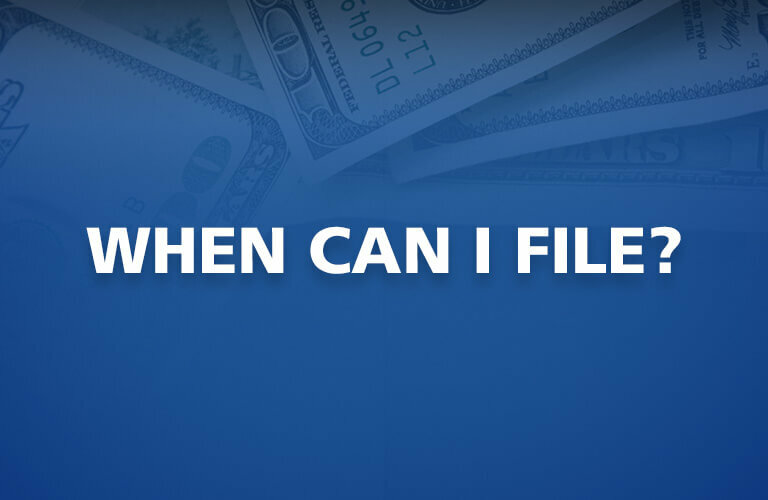 “When can I file?” at M & M Income Tax Service, we start hearing this question as early as November each year. We realize that as the holidays approach, not only are people eagerly awaiting the holiday season, they are also looking forward to “Tax Refund Season” (aka “Tax Money Time”). “Tax Money Time” is the time of year lots of people count on to get caught up on their on their bills after the holidays. So, to answer the question, “When can I file?”, our quick answer would be January, but that is not really what you want to know. Here are some additional questions and answers that hopefully will give you a complete answer. Can I file using my last paystub? No, you cannot file your tax return using your last paystub. However, with your Last Pay Stub & “The Tax Money Machine”, exclusively at M & M Income Tax Service, you can; Receive $50 cash when we estimate your taxes using your last pay stub. Receive another $50 cash when you file your taxes using your W-2. Plus, apply for a Easy Advance* up to $6,000. Employers seem to be getting W-2’s out earlier and earlier each year, but don’t count on seeing your W-2 prior to January 1st. Most employers get their W-2’s out during the month of January, usually late January. All employers are required to have W-2 forms out by January 31st each year. If your employer mails your W-2 on January 31st, you have to give the postal service additional time to deliver your W-2. When does the IRS open? Each year the IRS seems to move this date. In 2017, the official IRS start date is Monday, January 23rd. The week before January 23rd, the IRS will test their computer system and a few tax returns can get accepted early. If you wish to apply for a Easy Advance*, we can process your tax return early during this testing period. Generally, it’s best to wait until the IRS official start date to prevent any potential refund delays and problems. How fast can I get my tax money? After January 23rd, you can receive ourEasy Advance* up to $6,000 instantly (i.e. 15- minutes or less) upon approval. Prior to January 23rd during the IRS testing period, you can receive our Easy Advance* up to $6,000 it’s just not instant, probably next day upon approval. With the IRS holding refunds until Feb 15th or later, if you claim kids on your tax return, you may need access to our Free “Easy Advance*” now! When will I get all my tax refund? Most IRS tax refunds come back in 7 to 10 days and can take as long as 21 days, depending upon when the IRS actually releases your tax refund. However, if you claim children on your tax return the IRS is mandated by Congress to hold your refund until after February 15th or later, in an effort to reduce tax fraud and improper payments. See our WARNING for more complete details on IRS refund delays.